India has huge capacity to develop renewable energy infrastructure. 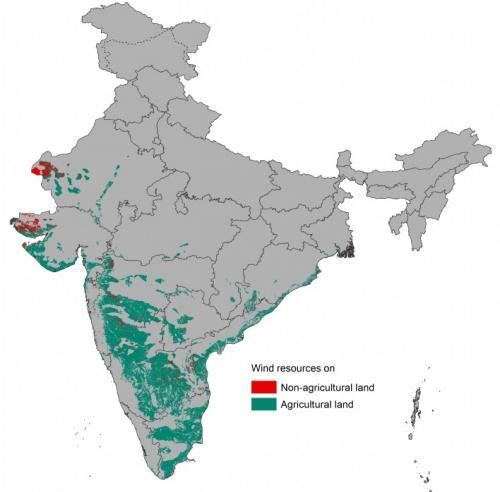 However, wind and solar resources are spatially heterogeneous across India, finds a study conducted by researchers from the Lawrence Berkeley National Laboratory—a member of the national laboratory system supported by the US Department of Energy. India has set a target of developing 175GW of renewable energy by 2022 and also 40 per cent of total power generation from non-fossil fuel sources by 2030. For this to happen, the country needs to overcome economic and siting challenges, along with power system challenges. What’s the objective of the study? The study, conducted by the International Energy Studies Group from the Lawrence Berkeley National Laboratory, used Multi-criteria Analysis for Planning Renewable Energy (MapRE) methodological framework. The broader objective was to “spatially identify the amount and quality of wind and utility-scale solar (a solar facility that generates power and feeds the grid supplying a utility with energy) resource potential in India and the possible siting-related constraints and opportunities for development of renewable resources”. 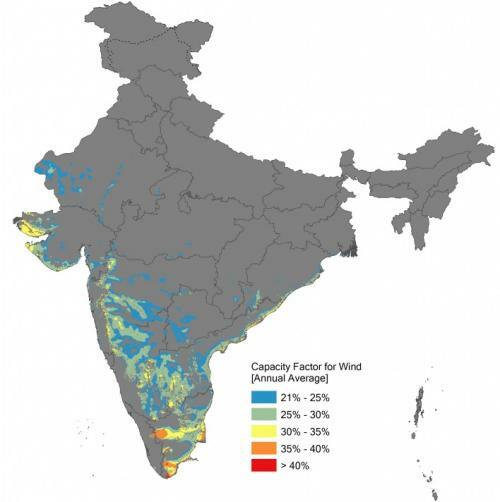 The study, titled ‘India Renewable Energy Zones’, identifies “cost-effective, equitable, and environmentally sustainable wind, solar PV and concentrated solar power (CSP) zones across India”. 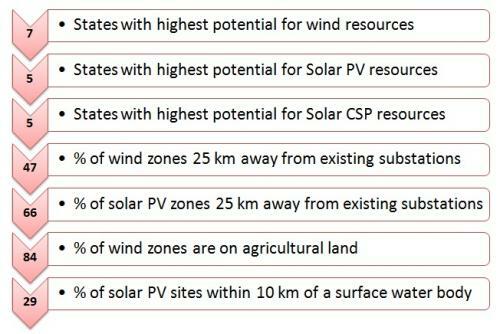 Solar CSP resources are the most limited among the three technologies. CSP potential is highest in Rajasthan, Gujarat, Maharashtra, Andhra Pradesh and Madhya Pradesh. Half of all wind zones (47 per cent) and two-thirds of all solar PV zones (66 per cent) are more than 25 km away from existing substations with transmission voltage of 220 kV and above. This is a potential constraint when it comes to accessing high voltage transmission infrastructure. 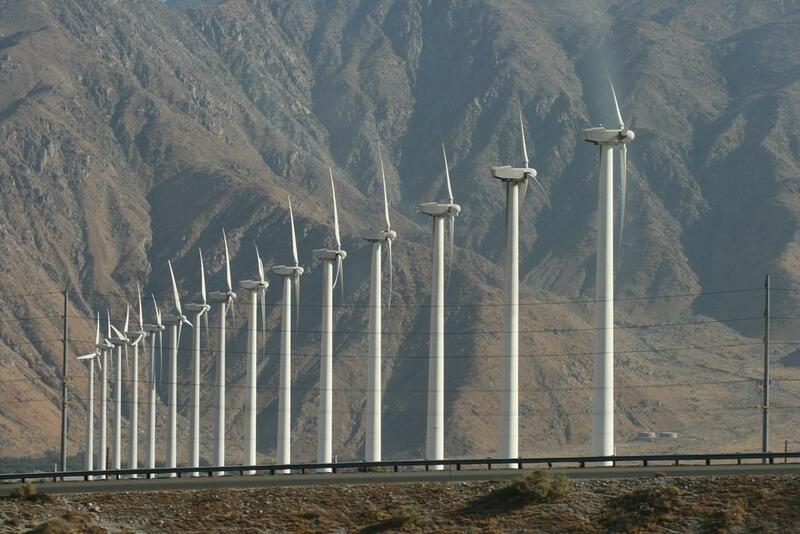 About 84 per cent of all wind zones are on agricultural land. It provides opportunities for multiple uses of land, but may also impose constraints on land availability. Only 29 per cent of suitable solar PV sites and 15 per cent of Concentrated Solar Power (CSP) sites are within 10 km of a surface water body, suggesting water availability as a significant siting constraint for solar plants. Availability of groundwater resources was not analysed as part of this study. The research also points out that about a quarter (28 per cent) of all solar PV zones overlap with wind zones, which means it is an opportunity for developing co-location for both. It will also be economical and easy to develop transmission extensions which can be used for both. As I stress “BIO ENERGY “ is the best option for an Agrarian State like Andhra Pradesh. There is vasy waste land and huge youth power in the state. Why not go for massive cultivation of Care-free Growth,Regenerative CAM Plants like Sisal Agave And Opuntia(Cactus). Biogaspower/biofuel/biochar an be obtained from these plants. What is essential is that being CAM plants they act as CARBON Sink. Accumulation of CO2 and Atmospheric Vapour is the root case for natural calamities like Floods,rise in temperatures and Drought. Just as wee have SEZ,we can have “Youth Economic Zones”. The vast waste land can be given on lease of about 10 acres each to educated Youth with training in agricultural practices. 10 Such People can form a Co-operative. They can grow fast growing multiple use plants like Sisal Agave,Opuntia,Custard Apple etc. Agro Industries centred around the products from these plants can be set up. Mahatma Gandhi’s Concept of “ Utilisation of local resources and resourcefulness” is the need of the hour. Are not Communes(Kibbutz) in Israel Successful? Now the recession in IT Industry brought out our folly in neglecting Agriculture and related fields. As Mahatma said,” Not Mass Production but Production by the Masses” is very relevant today. LET AP USHER IN A NEW ERA OF DEVELOPMENT WITH A BLEND OF TRADITIONAL AND MODERN APPROACH. “MODERNISE THE TRADITIONAL – TRADITIONALISE THE MODERN” should be our Motto.